A picture tells a thousand words, and the right photography on your website or brochure can make your product or service look so much more appealing and professional. Show your customers what you have to offer and the possiblities through professional photographic services to make you look your best! Art Attack can help with any photographic needs you may have for your project. For a comparatively small investment, we can arrange either digital or traditional images you can use for your own promotion. And you have full ownership of all images so you can use them any way you like in the future too. As well as still photography, we can produce 360 degree 'virtual tours' using the latest technology for delivery as either web or CD based presentations. Give your site or presentation that 'WOW factor'. Especially great for property or venue promotions, or anywhere with a great atmosphere or view! So call us today to discuss your photographic needs. 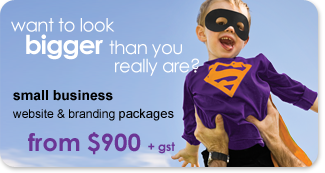 Art Attack Web & Graphic Design Sydney is a personalised, professional one-stop-shop for your photography and web/graphic design needs – two challenges, one solution. Call us today on 1300 88 40 14 or email info@artattack.com.au for a no obligation discussion.